Brittany has been in the hair and nail industry since 2010. 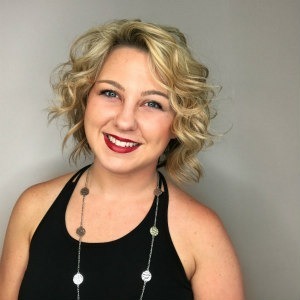 She has spent much of that time attending expos and advancing her training in order to have the best cosmetology education available to create the ultimate guest experience. She brings a considerable amount of knowledge to Salon Raymond Christopher & Spa. Brittany strives to hone her skills to create the quality, value, and prestige that Salon Raymond Christopher & Spa guests deserve. Her passion for hairstyling has been the driving force in her work here at Salon Raymond Christopher & Spa. The salon has provided Brittany with the education, experience, and space needed to become a well-rounded and diverse stylist. Her pursuit of a rewarding career of serving guests by exceeding their expectations with a premiere experience which touches the guests’ mind and body and adds value with each visit is her primary goal. She is a great addition to our team!